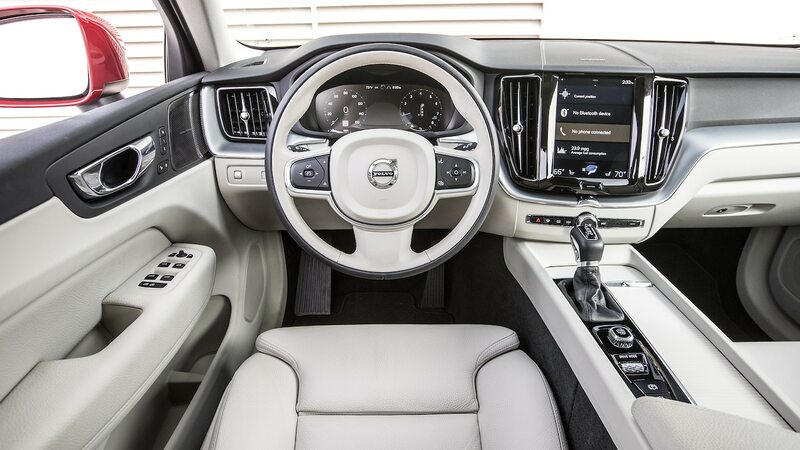 After originally debuting on the 2016 XC90, Volvo’s Sensus interface found its way into every new vehicle from the Swedish automaker. Instead of a combination of dials, buttons, and a touchscreen, Volvo consolidated nearly every function into one display. This makes the system distinctive but also, sometimes, harder to use. Now that I’ve spent some time with our long-term XC60, I’m used to the portrait-style display and find it intuitive. Compared to earlier iterations, this version reacts quickly to inputs, allowing you to scan through menus quickly. The trick to learning Sensus is to use it exactly like you would a tablet. Swipe, pinch to zoom, and touch are the only inputs you need to learn, minimizing complication. On the home menu, shortcuts to navigation and media allow for easy access of the most used functions. Using Android Auto or Apple CarPlay, however, requires one more step because you need to swipe right and press the icon to activate it. On the road, however, you should use Android Auto or CarPlay because it’s difficult to use the touchscreen, especially on rough pavement. Executive editor Mark Rechtin recently drove the XC60 to Monterey and back, and found that even changing the radio station is hard because you have to interact with the touchscreen. “If the road is at all bumpy, the suspension is responsive enough that you feel the control over the road, but its side effect is that your fingertip audio command will never be the right one because the icons are so small and the reach is so far,” Rechtin said. Because almost everything is on the touchscreen, you’re forced to take your eyes off the road for an extended period. As a result, it can be difficult to make quick inputs due to the lack of physical buttons. On the user-friendliness scale, Sensus falls behind FCA’s UConnect and Subaru’s Starlink, two of the easiest systems on the market. Even so, versus Mercedes-Benz’s COMAND and BMW’s iDrive interfaces, Sensus takes less time to learn and most functions are only a swipe away instead of buried in a sea of submenus. The post 2019 Volvo XC60 T5 AWD Update 1: Exploring the Infotainment System appeared first on MotorTrend.